In short, the oligarchs must take power from barrels of guns they disclaimed having at their disposal until now. The first of the new Ukro-Maoists has been Igor Kolomoisky (left), acting governor of Dniepropetrovsk region since March 2. The second, according to his announcement of May 10, is Rinat Akhmetov (right). So far the OSCE has said no more about who should be represented at the round tables than that they should be “high level”. It is Ischinger’s job to decide, along with the Ukrainian government (the US and German governments), who should be admitted to the table. The OSCE has called this “a pilot…Based on this experience, we can refine the concept and organise further Round Tables in different regions.” Yatseniuk announced at the May 14 meeting that the next round table is to be held in Donetsk on May 17 or 19. Krachuk said he doubts it: “we don’t want to lose half the members of the roundtable on the way home.” The ex-president’s reference to “home” is telling. 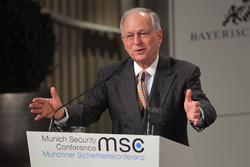 President Vladimir Putin announced on May 12 that at Ischinger’s roundtables he should foster “direct dialogue between the authorities in Kiev and representatives of the south-eastern regions of Ukraine.” That’s to say, power is recognized as coming from the barrels of guns, so long as the guns are holstered for the time being. Between dusk and dawn most evenings in Donetsk and Lugansk regions, the guns resume firing to demonstrate who should be called to the table. Since the start of the year, the Ukrainian oligarchs have been reluctant to address the triangle of force, legality, and representation. A search through the Ukrainian, Russian, English and German language record has turned up too few such statements to compose even a little book. What the oligarchs don’t say speaks larger volumes. May 10: “The Metinvest group urges rejection of bloody methods in Mariupol and other cities of Donbass. Events in Mariupol once again have showed that the population suffers from violent clashes in the territory where, first of all, peaceful people live and work. In the city blood was shed. It occurred on a day that is sacred day for all of us — Victory Day on May 9. The inhabitants of Mariupol, veterans, children, have heard explosions and shots, and they become the victims of bloodshed. City life is paralyzed, the municipal economy collapses. The routine work of the iron and steel works, the base for employment and salary for Mariupol citizens, is broken — it is the economic base of the Donetsk region and of all Ukraine. We urge the rejection of the current practice in the peaceful cities of Donbass of large-scale fighting with the application of troops, heavy equipment, and arms. We consider that the Ukrainian military, as well as other armed people, have to leave the city immediately. All opportunities for peace talks aren’t exhausted yet. The government still can and must hear the voice of the inhabitants of Donbass. The government has to provide to the world and to other cities the conditions for people to live and work quietly – [conditions] for normal urban life to be restored so that people would not be afraid to take to the streets, to go to work, to walk with children, for example, to live as they have been accustomed to do, and as they have the right. Further military operations on the territory of Donbass will bring only [the result] that the majority of inhabitants will lose trust and respect for the government. The Metinvest group suggests that the fatal mistakes made in Mariupol and other cities of Donbass should be recognized; that armies be removed; that dialogue be opened with citizens urgently to make the compromise of political solutions directed at the removal of social tension. May 14: “Today the situation in Donbass is extremely difficult. The region has been gripped by fear. People are closing stores and offices and leaving the cities. People are being shot and killed in streets. This is a disaster for our land. We are living in disaster. But I want Donbass and every citizen of our region to be happy. And what is happiness? Happiness is when you live in peace. Happiness is when you feel secure. Happiness is when the economy is strong, when new jobs are being created, when people have good employment, good salaries, and good lives. Happiness is when we are respected, when people honour our heritage, our history, and our language as well as our holidays, traditions and our ambitions for making life better. How can we achieve it? I believe there are four scenarios. Scenario 1: Everything remains as it is. Kiev has all the power, while regions develop on the leftovers. I am strongly convinced that this way has already run out of steam and is not right for the future. Scenario 2: The Donetsk People’s Republic. Nobody in the world will recognise it. However, our economy is based on coal, steel, energy, heavy engineering, chemical industry, agriculture and all the business areas related to them. We will face huge sanctions and will not be able to sell or produce. It will result in suspended production, unemployment and poverty. Scenario 3: Joining Russia. I strongly believe that neither Russia nor Donbass needs it. And neither Russia nor Donbass will benefit from it. We will face huge sanctions, and again we will not be able to sell or make our products. It will result in an economic downturn, unemployment, and poverty. 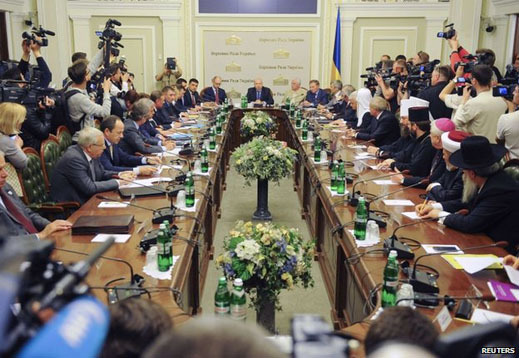 February 24: “Ukraine’s leaders must be as mature as its citizens. Ukraine’s citizens are heroes. They have stunned and impressed the world by standing up to repression and violence, putting their lives on the line in the process. There have been many dead; just a few days ago it seemed as though there may be many more. But thanks to the bravery of its people and the support of international partners Ukraine was able to step back from disaster. We have seen a people’s revolution, not a revolution of the politicians. The people of Ukraine have learnt from the mistakes that followed the Orange revolution of 2004, where initial hopes of a free and democratic Ukraine foundered in recrimination and corruption. Today civil society has proved itself to be much stronger. Now the spotlight is on politicians and big business, who must prove they can match the maturity demonstrated by ordinary Ukrainians and that they are prepared to put their country first, ahead of their own interests. I have not been on the barricades. Ordinary Ukrainians have. Civil society turned out to be far ahead of us. We must now put all our efforts into addressing the social problems of Ukraine, and the long-term challenges of our country. We have all long known what they are: lack of rule of law, red tape, corruption, lack of opportunities, lack of infrastructure. Only if politicians and big business rise to this challenge will Ukrainians be able to channel their energy into reforming and rebuilding the country. Hundreds of thousands of citizens felt they could rely only on themselves, and went out and risked their lives to save their children’s future. Only if they regain trust in the state and those in power will they be prepared to hand back the monopoly of power from the Maidan to the institutions of state. Ukrainians have united against violence. But now cultural differences – whether of language, ethnicity or general outlook – pose a threat to the unity of our state. It is therefore even more incumbent on politicians and business leaders to work together for a united Ukraine. For far too long Ukrainians have felt that they could not rely on the rule of law. The huge disappointment after the Orange revolution was that this did not change. Corruption is now one of the crucial challenges facing the country. Politicians and big business must contribute to quick and significant reforms, so that society will be ready to give rules, democratic procedures and the legal system another chance. Now is a unique moment but it is only the beginning of a process where success is not guaranteed. We know from our history that Ukrainians were also brave in the past – but were very seldom lucky with their political leaders. Now more than ever Ukraine needs politicians to demonstrate honesty, competence and a preparedness to really serve their country. Perhaps for the first time in modern Ukrainian history, talking honestly about the need for painful reforms may actually boost a politician’s personal standing. Ordinary citizens have already shown what huge sacrifices they are prepared to make for a better future. Kiev is facing its most serious crisis since independence in 1991 in a dispute over trade links with the EU and Russia. Honesty will also be needed in the wider discussion about Ukraine’s relations with the EU as well as with the Russian Federation. Ukraine should be the country where west and east meet and co-operate effectively. The most important immediate task of Ukraine’s politicians will be the formation of a coalition government. This government will need not so much the experience of its predecessors but rather those of its colleagues in countries that have experienced deep crises such as Greece, Portugal, Spain, Ireland. And the most important test for all Ukrainians – citizens, politicians and business – will be the holding of completely honest and fair presidential elections. These will give Ukrainians a chance to demonstrate not their courage, but their wisdom in choosing their next leader. If we get our act together, Ukraine has an extraordinary future. “Q: Tell us how Maidan has touched you and what changes did you experience in the last four months? Q: That is, you do not believe that Poroshenko is now number one in the rankings? A: Why do you ask such a question? I believe that he has a high rating. But I think ahead it’s a long and winding road, and he does have the understanding and support of the urban population. But I do not understand what is the level of support of the rural population. Q: Let’s talk about business. You mentioned that political business is worth nothing. But this can only be checked when selling a business. 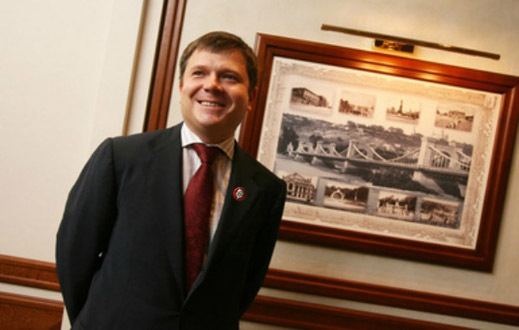 For example, the family business of Viktor Yanukovych – have not they got loans from western banks? A: No, they did not involve anything. They generally did not have any credits. Loans from western banks in Ukraine can involve a very limited number of people. Q: Did you take any part in the events on Maidan? A: Directly I did not run along Khreshchatyk Street with a shield, with a stick and a helmet. I believe that each person has a role to play. Your role as journalists is to speak white on white and report the truth to the public. And people themselves will determine how and what to do, whom to vote for in the election. I have a role to play – that’s fairly to attract investments into the country, create jobs and pay taxes. After all, what we have today with the Crimea is a situation of tremendous poverty. People do not realize that they were bought for a triple pension and the chance that tomorrow they will be better off. This is all the result of the collapse, to which the country was led by the gentlemen – Arbuzov, Klimenko, Kolobov and Sorkin. Q: Why did you not try to talk about it with your colleague Akhmetov: ‘Rinat, tell Yanukovych, it is wrong, you’re flying into the abyss’? A: Yes, we had such a discussion. And they occurred regularly. The point is that, perhaps, he was comfortable in this situation. Q: Why do you think Firtash was arrested? A: I’m not ready to comment on the FBI. Perhaps they have some questions. 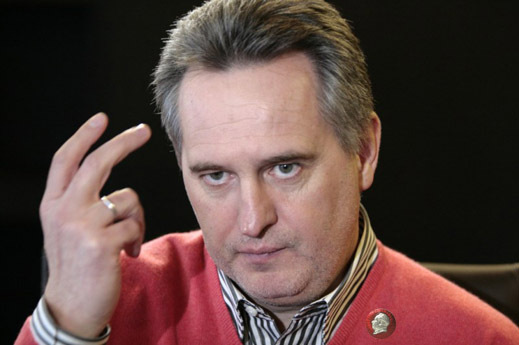 Q: Generally speaking, is Firtash a businessman or a corrupt go-between? A: I’ll tell you frankly. You’ve seen the last four years of the president ruling. You’ve seen the key beneficiaries of benefits which the regime gave to anyone. It is easy to get something for a few billion cheaper, and then on this difference become a very famous philanthropist. I believe that there has been pure theft, and the attempt to bleach white your reputation with the help of this stolen money. But because of that a thief does not stop being a thief. Q: Is it necessary to re-privatize now what was sold off under Yanukovych? A: I believe that we should let the court decide this. I believe that everything that happened since 2010 to the present day has been going wrong. Society also believes this. Frankly speaking, I also wanted to take part in the privatization of some power plants and distribution networks. I have factories there; I have vertical integration; I have an interest. But I could not do it, because none of my companies met the rigged criteria. Just as I once did not allow the privatization of Krivorozhstal, because I had to produce coke with a sulfur content which did not involve even a chemical formula. Q: Igor Kolomoisky and Sergei Taruta have become governors. Were you offered to lead any area, for example the Poltava region? A: No, I was not offered. If you look at the economic indicators of the Poltava region, you will see for yourself who is the main donor of the state budget, and who has the largest payments to the state budget per capita. For you it would be a pleasant surprise to know that Poltava, for example, has gathered the largest grain crop in history. More than anyone else Poltava despatches iron ore for export – more than is exported in most of the CIS. Poltava is a large oil and gas region, too. Simply put, Poltava is an island of prosperity and welfare in this country. I believe there is the highest risk for the new leaders to lose their power. People will be disappointed in this, people need professional actions. Believe me, anyone can stand in the square and scream from morning till evening. I want these people to show what structure they built in life, how much tax they paid. Q: Do you mean that Kolomoisky is better than a deputy from Kremenchug city council? A: No, I would not want to speculate so. The person was appointed, I do not know him personally, although he had some energy business, produced energy equipment, and was our largest supplier. Moreover, we had plenty of claims to him, although we always have a lot of claims to the Ukrainian and western suppliers. Because we try to run a public business, we have some of the best western practices in finance, in supply, in procurement. We employ 25 experts from around the world – they are my staff, and we speak only in English. I demand from my employees of a certain level that they all speak in English, because without this it is impossible to work with the best representatives of certain equipment. They all communicate on Skype, they fly, they bring in the best practices. Well, if I started to supply our products to Japan, I conquered there 15% of the Japanese market – I am very proud of this. This would never happen under the Soviet regime. Q: 15% of what market? A: Iron ore pellets in Japan. Yes, and Ferrexpo has a large office in Tokyo. Q: Is this a raw material business? A: You cannot say this. Commodities business – it’s when you dig out of the ground or extract oil from the well. And we do not have high-grade ore, it is all poor, so it is necessary to enrich, to make a very high quality, then for making pellets it is necessary for the ore to be properly sintered. In order to make a quality pellet, you must invest a billion dollars. If it was as easy as everybody talks about, then why do my Russian or Ukrainian competitors not deliver to these same markets in Japan and Germany? Because they cannot produce it in accordance with the appropriate standards…Poltava – it is a serious oil and gas region. Plus people have grown the largest harvest in history – this is worthy of respect. In Poltava everyone is a ‘sincere Ukrainian’, so from there nobody will come to Maidan with a Russian flag. There’s not even the precondition for confrontation or provocation. I’m proud of this, because it is the result of the fact that people are busy, have jobs, they have normal relations in families, they receive adequate wages. [They] would probably have more, but for this we need to work harder. And we do this — we give a light at the end of the tunnel to these people. And what happens in the eastern regions, what is happening in Dniepropetrovsk? We have a bunch of steel and engineering plants, we have a bunch of mines, a pile of all sorts of ore-processing combines, including Mr Kolomoisky’s – Marganetsk and Ordzhonikidze. These people work for 10 to 15% of its capacity during the Soviet era. If they work at such diminished volumes, then it’s understandable that people are unhappy. They see no prospects and want three times higher pensions. That was bound to set the stage for some political unrest. Q: After all, do you think the appointment of businessmen Kolomoisky and Taruta was the right decision? A: I think that is wrong, and always believed it. Kolomoysky said: ‘We were hostages to the regime.’ No, the hostages were those who did not cooperate with the regime, who have not received from it any benefits. A: Do you think he ran because of the beautiful eyes of Ukrnafta, where 51% belongs to the state. A: Well,[that’s] a good thesis. Let the readers decide. When he says: ‘Let us give money for gas’, okay. Yes, no question, but let’s fairly pay taxes, show it in our public accounting, then the army will have enough money and for gasoline, and tanks, and then to buy KrAZ trucks. Because in 2006 I deposited KrAZ trucks for the needs of MOE and the Ministry of Defence at the rate of 5 hryvnia per dollar for a certain number of millions of dollars, and yet to this day I cannot get the money back from the state budget. And most importantly, that led to another 4 or 8 criminal cases because prosecutors tried to prove, conducting searches, that we should not claim this money back. And these KrAZ trucks went on parade in Kiev. Q: Is the logic of the government about the Kolomoiskiy appointment that the government now needs a person with authority, who will keep the region in his control? 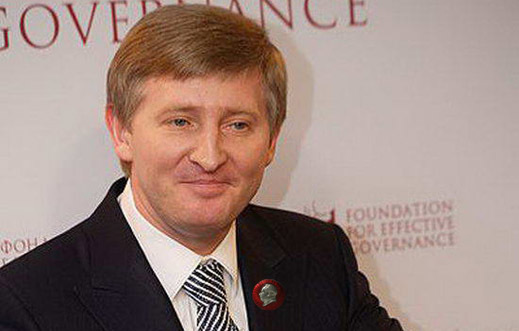 Q: Is it turning out that Akhmetov doesn’t try to calm things down? A: It’s hard to comment on this. I am weak in understanding what is happening in the Donetsk region. Who are the beneficiaries of benefits, including the Donetsk region? There’s also someone who took over management of state-owned mines, who took them on concession, which is equivalent to taking them over for free. If to build a mine costs a billion dollars, that is another option – call it a concession and pay for it by the month 5 million hryvnia. The same person [took on as concession], wanted to do the same with ports. I was strongly opposed, because we are dependent people, we use this infrastructure, develop it. Q: So now Ukrzaliznytsia works honestly or not? A: From what I see of the results of all the tenders, then it does not satisfy me — it’s not the market price. What do I mean here? Think. Why are our citizens poor, why do people not have salaries? Because industrial production has been falling in the country for 23 months in a row. Why does it fall? Because production is so high in terms of cost. Diesel fuel at a high price. Naturally, consumers will pay for it. Electricity costs are higher than in Europe. The consumer will pay. By the way, I want to import electricity from Europe, but I cannot. Today electricity in the country for the first class customer costs 790 hryvnia per megawatt. And in Europe at my plants I buy it for $ 65 per megawatt. Industry is pushed to the wall in terms of cost to the level of complete lack of competitiveness. Q: Have you tried to explain it to Yatsenyuk or Turchinov? A: No. For one simple reason – it’s probably they have very different problems today. Everybody now says we are in a semi-military state. Q: In what ways does it appear for businessmen? A: Simply, we have reached the very bottom of the credit ratings. Q: Why you were silent all this time? You are a deputy. You could have shouted from the podium, write interviews every week, go to meetings to Yatsenyuk or Turchinov. A: I was not invited there. Q: So speak out, so that you would be invited. For all these four years you’ve had an interview only in Korrespondent. Why you were silent? A: You should try to understand my mentality. I believe that I have to prove myself, like any other man, in business. Many say nicely. But let’s review the facts. I say that I want to make successful projects to create jobs, invest. I specifically brought along the Ferrexpo annual report for 2012. [Opens booklet and reads] There you see capital investments in projects in Ukraine in US dollars: 2012 – $429 million; 2011 – $380 million; 2010 – $167 million, and that was after the crisis of 2009 – $86 million. Then there is 2008 – $276 million. And here in 2007, since the IPO. And in 2013 another $290 million. Do you know how much money this is? It is 2 billion-plus dollars! And I built a mining plant, which no other country of the former Soviet Union has done. So I’m proud of it. Because here there are 2,000 jobs and a billion hryvnia in taxes paid. Here is my contribution to the success of the enterprise. Q: How much of these 2 billion were borrowed? A: 1.1 billion. Of which 400 million the state should reimburse to me — 300 million for VAT and 100 million on overpaid income tax. Q: Do you communicate with Kolomoisky? Q: Have you ended the conflict around Poltava GOK? A: And we never had a conflict with him. The man bought Ferrexpo shares on the London Stock Exchange – 3% or 4%. Bought cheaply and sold at high prices. He made Ferrexpo his investment opportunity. Q: How much did he earn on your stocks? A: It’s hard to say. I think, somewhere there was a report in the press – a few tens of millions of dollars. So everyone had earned! But when in 2008 there was a global financial crisis, all investors fled in panic from the emerging markets, including the market of Ukraine. I know another five Ukrainians who earned on shares of Ferrexpo more than Kolomoisky. And I’m proud of it. I believe that if people understand the specifics and see the future, well for them there is honour and praise. And it is better if Ukrainians have earned this than New Yorkers. Q: That is, you have no conflicts with Kolomoisky at all? A: Well I never have had any conflicts with him. Well [once] he came and said: ‘We want a place on the board.’ I told him: ‘Dear friends, you are not supposed to. According to the laws of the stock exchange, you can claim [this] in certain cases, or if you get the support of other shareholders.’ They had no right to demand [the board seat], and the shareholders did not support them because of their reputation. That’s it. A: My opinion is that Ukrrudprom was illegally privatized. Here I am – a member of this industry, and would like to participate in the privatization of all enterprises. I would pay more than $45 million for a controlling stake of Northern Mining or $55 million for Inhulets GOK. Such prices, to my way of thinking, are enough to make a cat laugh. But I was not allowed to participate in this privatization, because I didn’t have shares in the companies of’ Ukrrudprom. I talked about this to Novinsky, Akhmetov, Kolomoisky. But apart from them, there are still other beneficiaries who arranged the signing of the law by the famous uncle. Q: What do you think will be the outcome of this trial? Are you in principle on the side of Kolomoisky or Pinchuk? A: I believe that, in principle, the process is incorrect. We can get such a solution that the British court would say that generally the process of privatization was wrong in general. And then Ukrainian lawmakers or the Ukrainian court must make a decision on this matter. What I always lobbied for is transparency and direct sales at auction. I think, let money put people in their places. And let’s ask questions to the leaders in this country. I never came and said: ‘I want something.’ I regret the waste of time on something that sooner or later will end badly. Q: With what oligarch can you talk? — everyone says he is right and everyone else wrong. A: You are one hundred percent right. And in order to separate the wheat from the chaff, analyze the facts. Q: Who, in your opinion, would now be the best president for Ukraine? A: I will not tell you a name, you can guess. I believe that the President should be a person with merits, who built in this country more than one structure, but two or three, who created some jobs, paid a lot of taxes, invested. It should be an educated man who has had the experience of government, a man who will lead us into Europe. In this situation I’m not even going to rely on the team which will accompany this man. I will very much rely on Brussels. I believe we should not reinvent the wheel or scream about which way to go. Into each ministry we have to get ten consultants from Brussels , who will come and say: You have to do it like this. You do not understand it today because of your knowledge or because you lived in a kingdom of crooked mirrors. But it will take two years, and you will see everything. This is very important to me. But sometimes I just get tired of promoting the good, the eternal, the worthwhile, because people do not always understand it. Q: Now the topic of the presidential campaign of Yulia Tymoshenko is causing a heated debate. What do you think she should do? A: We have elections in two rounds. If she has the inner conviction that she is strongly supported by the people, then she should run. I am convinced that she has a huge number of followers. There are lots of people who do not like something in her. But I believe that fair elections will open up everything. Q: I analyzed the statistics of your visits [to the Verkhovna Rada]. You have been registered in the parliament 10 times, and 104 times you were out, and you have not filed a single bill. Why do you need the mandate of a deputy? A: The work not only consists of what is done in the chamber. I’ve constantly been an MP since 1998 and in recent years I realized that, unfortunately, I cannot draft bills by myself. They often cause a stormy reaction from one side and the other. Then from me [the other deputies] begin demanding something. Each one says, ‘I will support you if you do this or do that.’ I don’t need this. I need laws that will be accepted. There have been laws I wanted for this country, but for me it is important that these laws were adopted in the end. Q: You spend a lot of time in the UK, you constantly declare western principles. But if in the British parliament a deputy, like you, missed 90% of the sessions and produced zero bills, it would be a black mark to the end of his political career. A: That’s not fair. There are the front bench and the people who sit on the back benches. These are the people who work in the constituencies. And believe me, I was re-elected in 1998 in the same district. In the last election in 2012, I received 62% support of the population. So, I probably I’m doing something. Q: For voting for you your workers are serfs. Q: If at your plant a manager was absent 90% of the time, then you would have fired him a week later. So for the third year in a row you are out in the workplace. Q: Will you run again? A: Of course I will. I think that the next elections will not be majoritarian, but list-based. This is for the greater good of the country. A certain party should take responsibility after the victory, to appoint the whole executive branch, and to fulfill its promises. If it fulfills its promises, for them the greatest merit would be re-election, but the biggest punishment is the exit for recycling. Q: Where in this scheme, is the separation of business and politics, as it should be in all democratic countries? A: I totally agree with you. When you said that Kolomoisky was appointed governor, I feel bad about that because it is a pure oligarchy – the fusion of capital and politics. A: You’re wrong, I do not break any laws in the Ukraine. My employment history is in parliament. And from what I’m doing in my functions abroad, I do not violate any law. This is not just me talking, but legal advisers who prepare their legal opinion and then give it to the regulators on the London Stock Exchange. Q: Do you have a residence permit in the UK? May 12: “Having a house in Florida is not my ideal of life. I’ll defend myself to the bitter end…. I am a magic wand for Gazprom. They know I have many years of experience, that I’m able to negotiate with Ukraine…I’m ready to act as a negotiator between Russia and Ukraine. I know what to do. If Ukrainian politicians are impotent, I have to step in. I am supporting Poroshenko, I don’t have any other choice. I’ll support anyone other than Tymoshenko…. We have to give the regions the chance to run their own affairs. Only 15 percent of taxes stay in the regions and 85 percent goes to the center, compared to 50-50 in Austria and 80-20 in Germany. That’s why I support federalism. “I was in shock, I never expected such a thing [arrest in Vienna on March 12]. Then when they took away my phone, watch and belt, I understood that they were taking me to prison and I got really frightened. This isn’t a cheap game. It’s costing me millions of dollars, but I don’t have any choice. I’ve invested billions of dollars in Ukraine and if the country ceases to exist, I’ll be bankrupt. I’m in Vienna because I can’t go anywhere, but I’m fully involved. I am working on this every day and will continue to do so night and day.